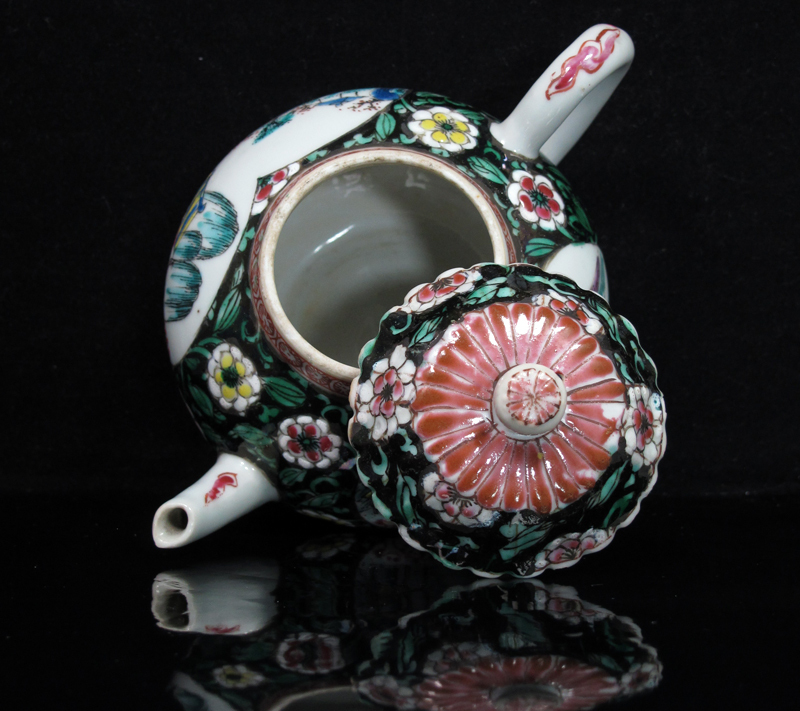 An early 18th c famille rose covered teapot and saucer stand. 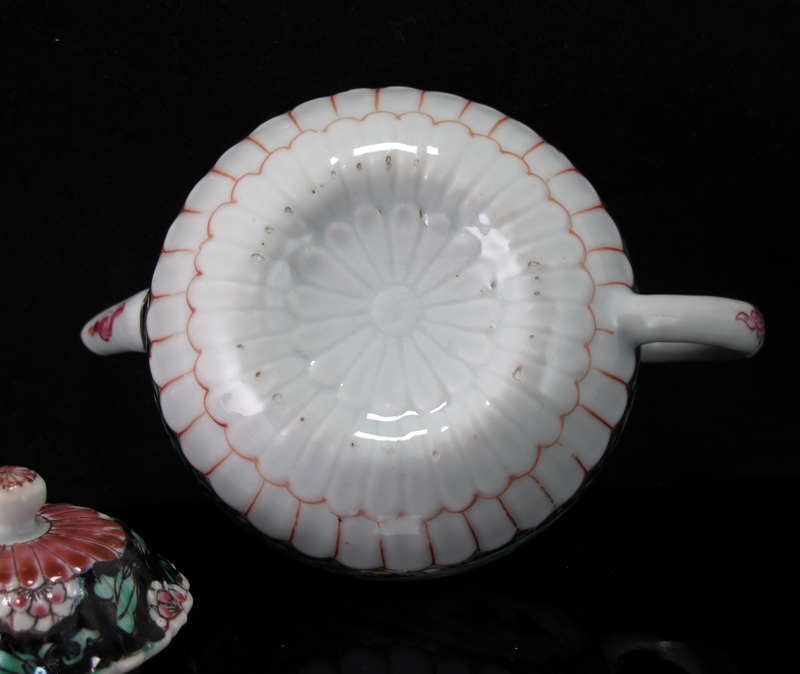 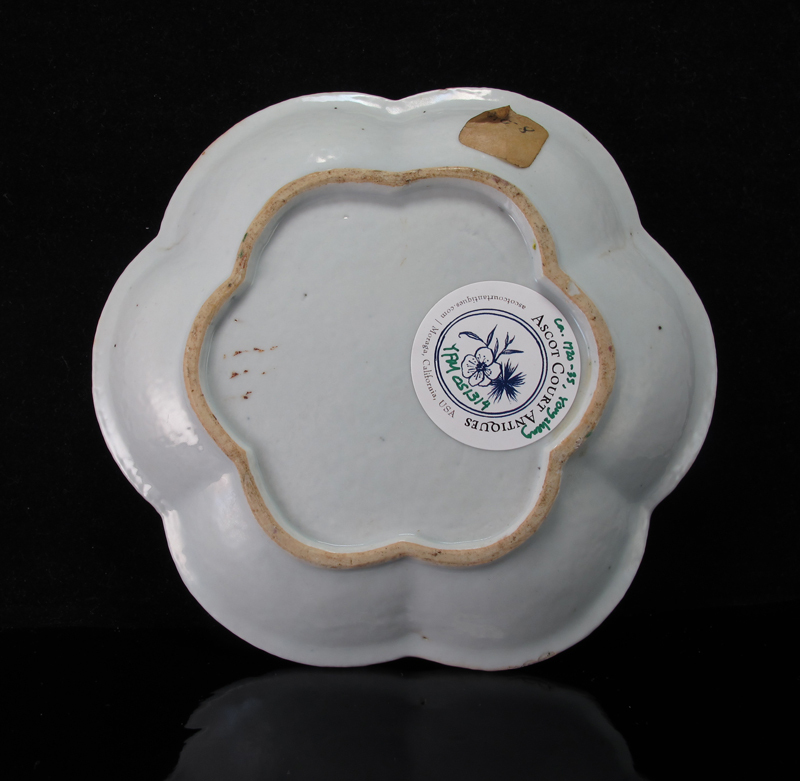 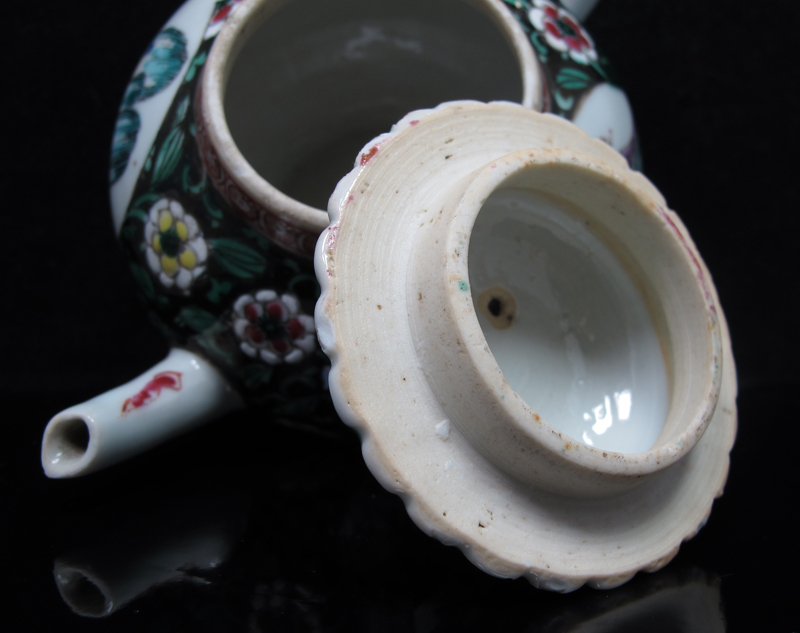 All three parts — lid, teapot, and saucer stand — align and were originally made as a set. 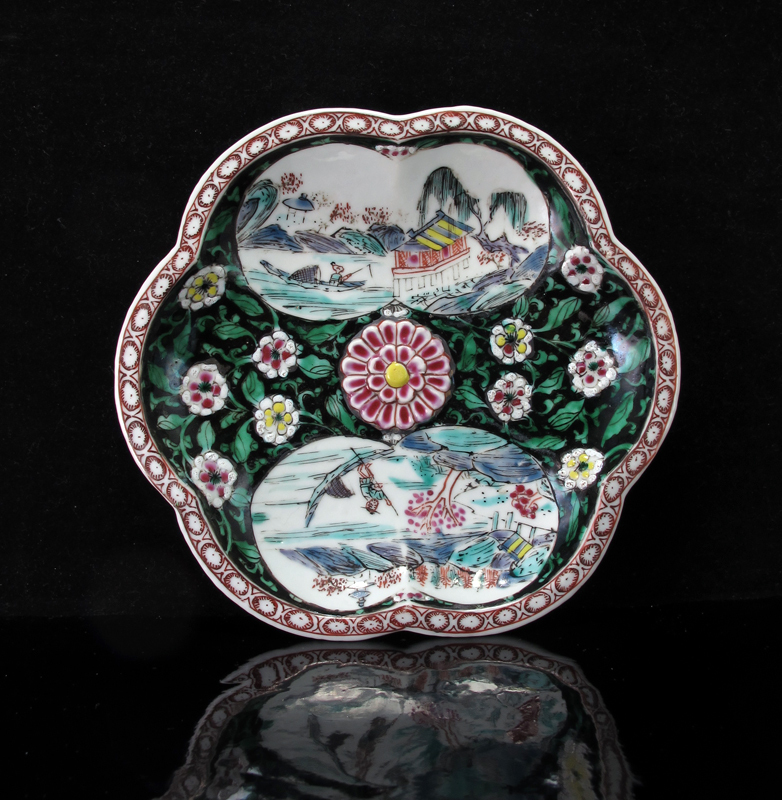 The famille noire floral grounds are paired with airy landscape scenes, while the raised applique floral decorations add extra texture. 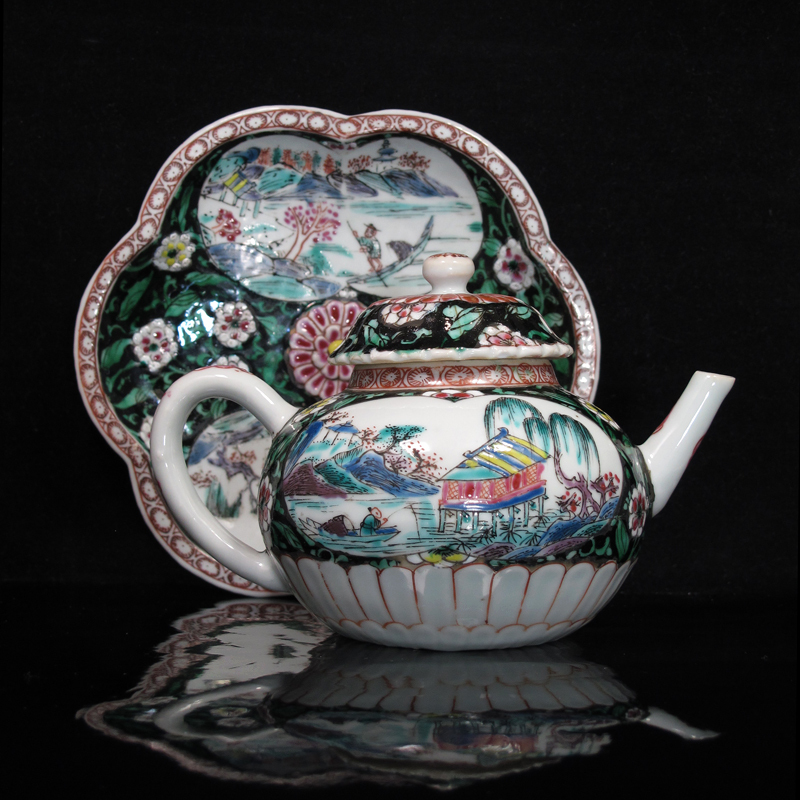 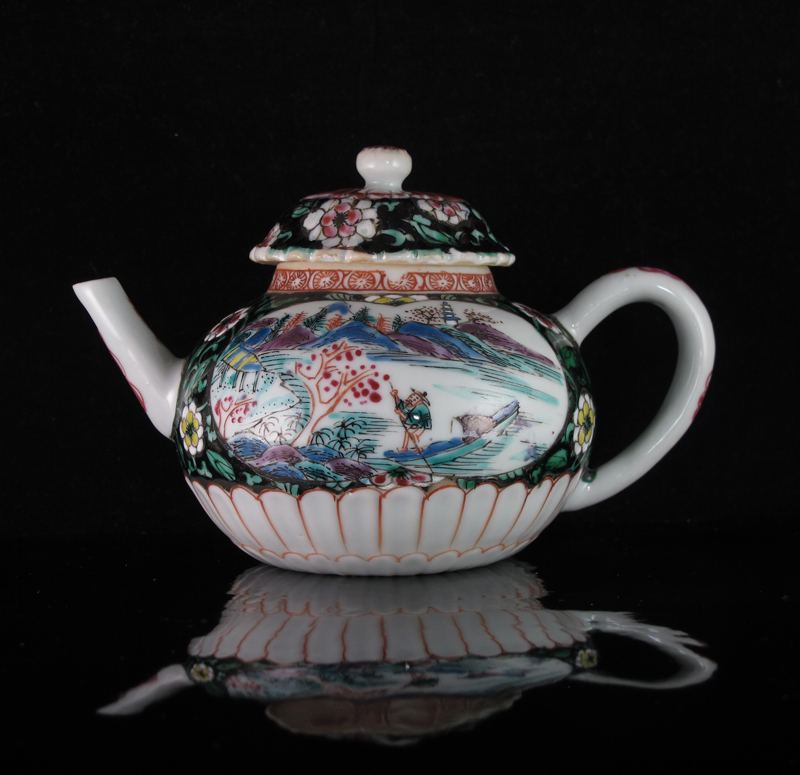 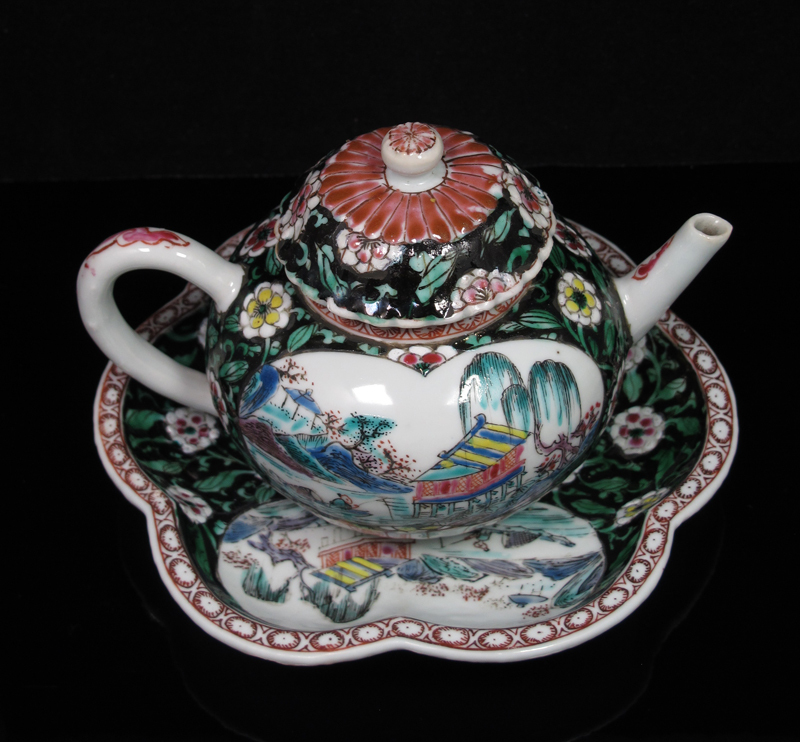 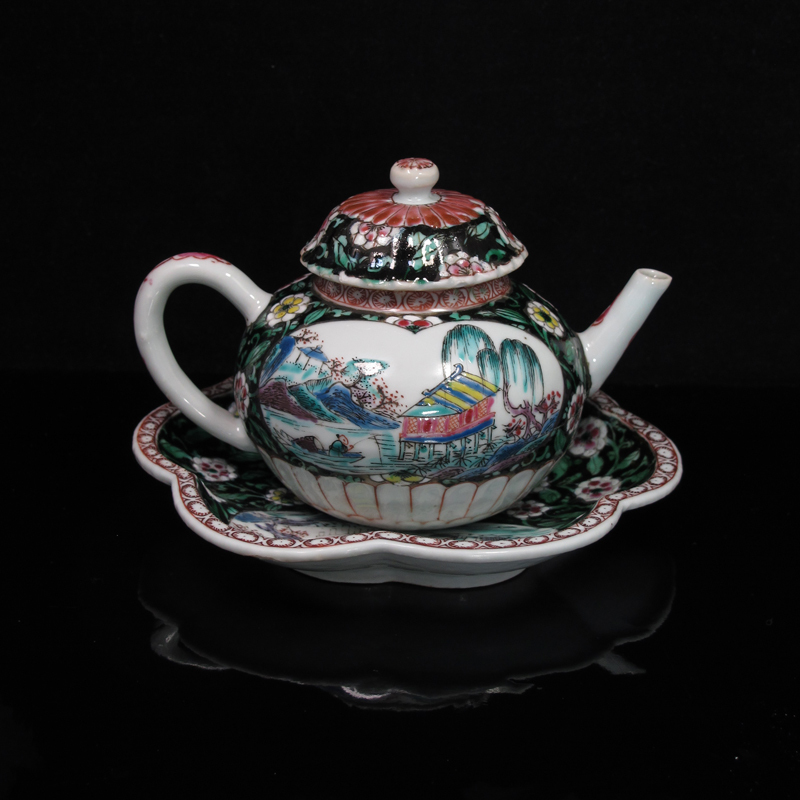 An identical lidded teapot and stand was sold in 2007 by Christie’s New York, as a part of the Hodroff Collection of Chinese export porcelain (sale 1794, lot 191).